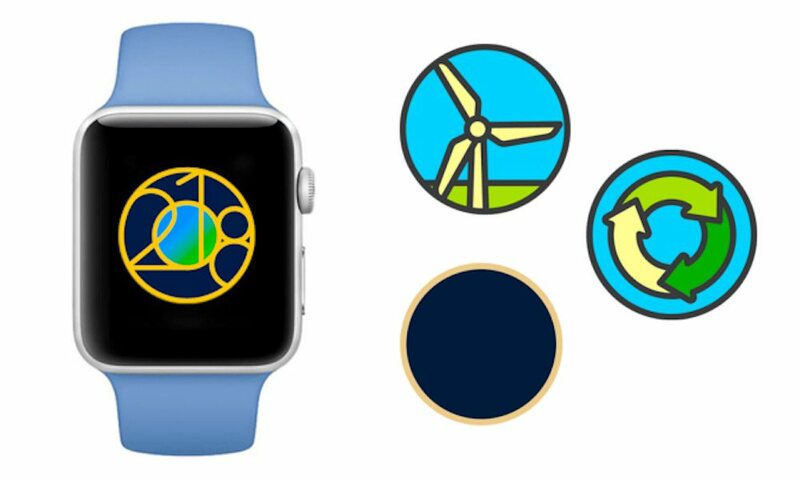 Apple is gearing up to launch its second annual Earth Day Activity Challenge, which will feature updated requirements and rewards, for Apple Watch users. The Activity Challenge will go live on Earth Day, which is Sunday, April 22.To complete the challenge and unlock the achievement, users will need to perform a 30-minute workout — though, unlike last year, any activity type will count toward the goal. Previously, only a walk, run, cycle, wheelchair or spin qualified. Users who successfully complete the challenge will be rewarded with a 2018 Earth Day badge and a new sticker pack for Messages. Again, unlike last year’s challenge, the three stickers will feature animated designs when used in iMessage texts. They include a windmill sticker, a recycling logo sticker, and a blue-and-gold sticker emblazoned with the badge and the current year. The sticker pack and the workout details were first discovered by Twitter user Kyle Seth Gray, who shared the information with 9to5Mac. Over the last couple years, there has been a wide range of special Activity Challenges for Apple Watch users — typically celebrating certain causes or holidays. Unlike some U.S.-specific ones, like the Thanksgiving Activity Challenge, the Earth Day event will available to users across the globe. The new animated stickers are also a fairly recent reward. The first animated sticker pack was released as part of the February “Heart Month” Activity Challenge. Since then, Apple has also included animated iMessage stickers as part of the International Women’s Day challenge last month. Apple typically uses Earth Day as a way to highlight its eco-friendly and sustainable practices. In addition to the Activity Challenge, the company is also celebrating the day by equipping Apple Store employees with green shirts and adding a green accent to its white logo. This latest Earth Day challenge comes hot on the heels of Apple’s announcement that it now runs on 100 percent renewable energy. This time last year, that number was at 96 percent. Among major technology firms, Apple has been voted the most environmentally friendly by advocacy group Greenpeace for three consecutive years.